As you know, I've been a Dallas resident for the past three years now and this city has stolen my heart, just as I knew it would. As much as I loved living in Knoxville and the great state of Tennessee, it was always my dream to live in a big city. Dallas fits me to a T(exas). Moving here can be really overwhelming, there are just so many things to see and do, and so many different neighborhoods to do it in! My special guest poster for today, Susan from Cheers with Love, has made it her mission to see and do as much as possible in the short amount of time she's lived here. That's the way you gotta do it when you move to a new city, jump straight in with both feet! Susan runs her own Etsy shop where she produces totally custom labels for wine, beer, beverage and party printables. Tailgate necessities, in my opinion. 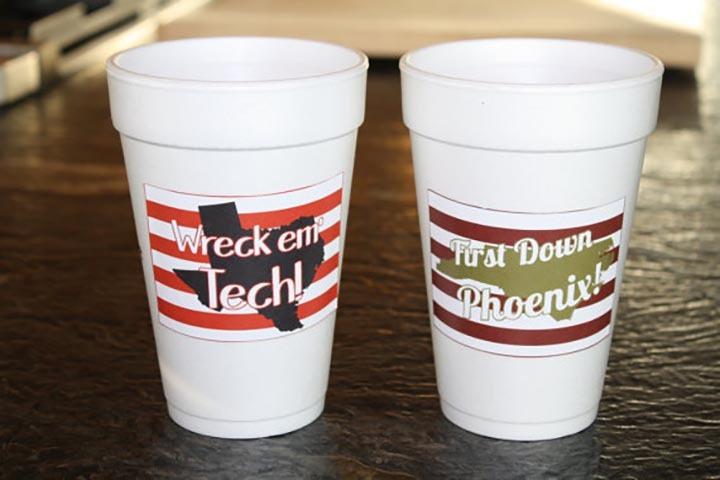 I NEED to get these gameday beverage stickers made for the Vols ASAP! We've also teamed up below on a really easy giveaway for you to win a set of custom labels from Cheers with Love, and ESPN ad space on VTIM! Plus, if you see something you want to order on Cheers with Love, message Susan with code VENUS to get an extra page of labels for free! I'm going to let Susan take it away with what she's learned since moving to Dallas! Hi y’all! My name is Susan, owner of Cheers with Love, and a new Dallas resident. When my husband brought up the idea to move to here I have to admit, I didn’t know a lot about the city. We would come to Dallas time to time, but I never got a good feel for it. I felt the city was disconnected and it didn’t seem like there was a lot going on (full confession, I’m from D.C. and thought it was the best city on the earth). Boy, was I wrong. 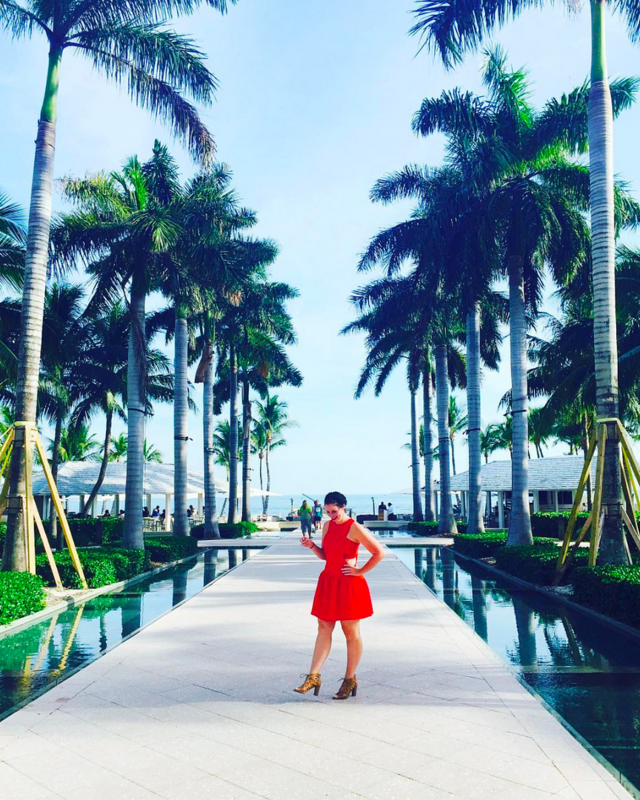 Here are a few things I’ve learned about Sarah’s city since moving here six months ago. Dallas has a smaller downtown district, but has tons of great neighborhoods, each with their own flavor, surrounding it. There is Uptown/West Village, land of the young professional. It is filled with apartments, bars, shopping, and plenty of outdoor eating options. Highland Park is where you go to look but not touch haha. Rumor is the Million Dollar Listing franchise is going to start shooting in Dallas. They would definitely start here! Deep Ellum is hip and changing everyday. 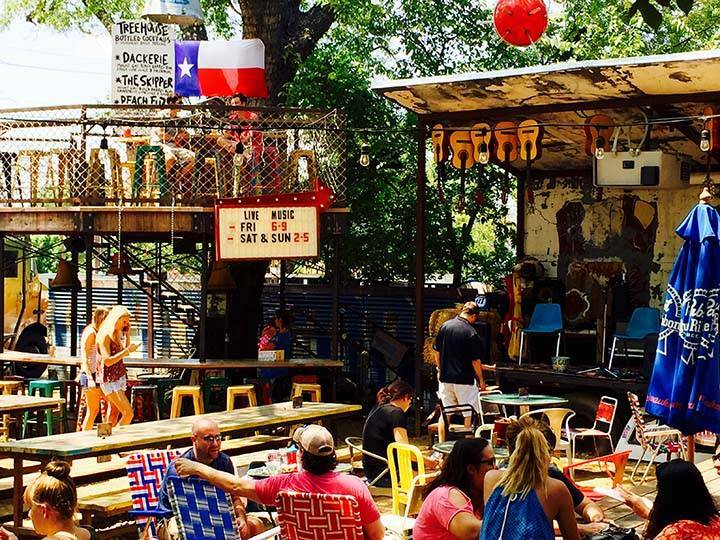 Need a new bike, a tattoo, or the best bbq in Texas? It’s all there. 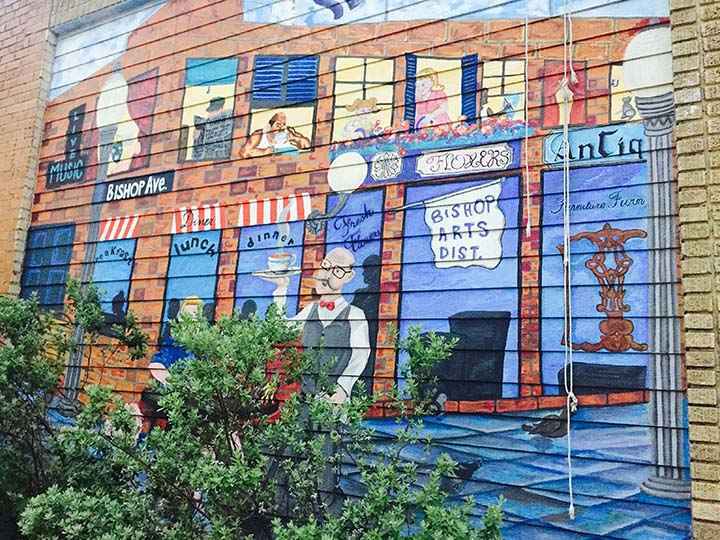 Bishop Art District’s streets are lined with great boutiques, delicious independent restaurants, and art! It seems like there are always some great street performers there too. Living in D.C. 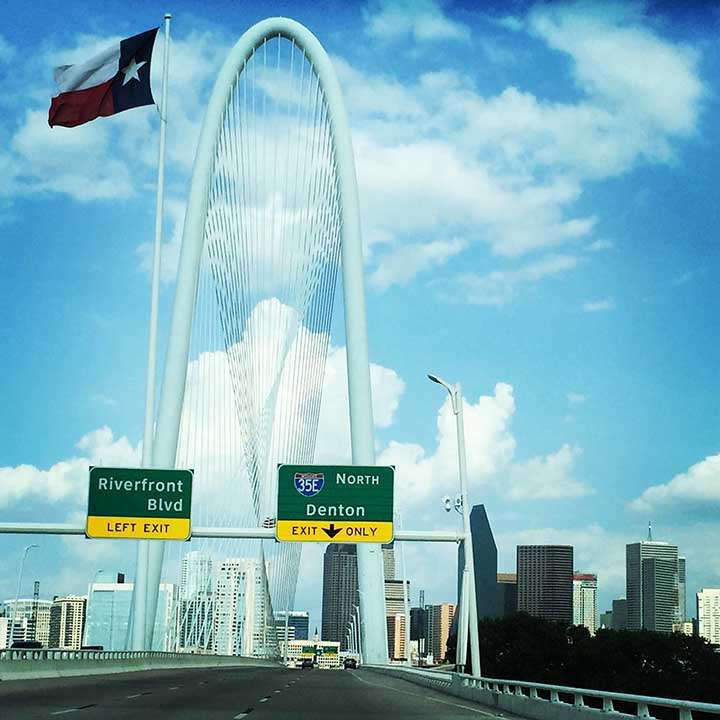 I assumed that we had the worst traffic in the U.S., but holy cow Dallas … you win!! It seems no matter what time of day it is; there is always crazy traffic. Think you are safe at 2:00 PM on a Tuesday? Think again. Everything is bigger in Texas. You will never go hungry again. I have yet to have a bad meal in Dallas. My husband and I are very set in our ways, so I’ve tried to be good about trying new places. Everything has been so good! I assumed I would be eating copious amounts of Tex-Mex when I moved here, but it turns out Dallas is a huge burger city. My personal favorite is the Jalapeno Jack Burger from Katy Trail Ice House. Eatzi’s, Urban Taco and Pecan Lodge are a few of my other favorites. I’ve also fallen in love with Texas beer. There is so much more than just Shiner! My personal favorite is Deep Ellum Pale Ale. Biggest sport in Dallas … people watching. Okay, so I know the Cowboys have a bigger following, but Dallas is perfect for people watching. Specifically on the Katy Trail, which runs from the American Airlines Arena to SMU in downtown Dallas. There are so many pretty people! I am happily married, but I recently saw a t-shirt “Forget Tinder, I have the Katy Trail.” It makes sense! Dallas isn’t filled with the stereotypical boots and wranglers wearing crowd. People come from all over, so it is always great to sit back and watch the crowd. 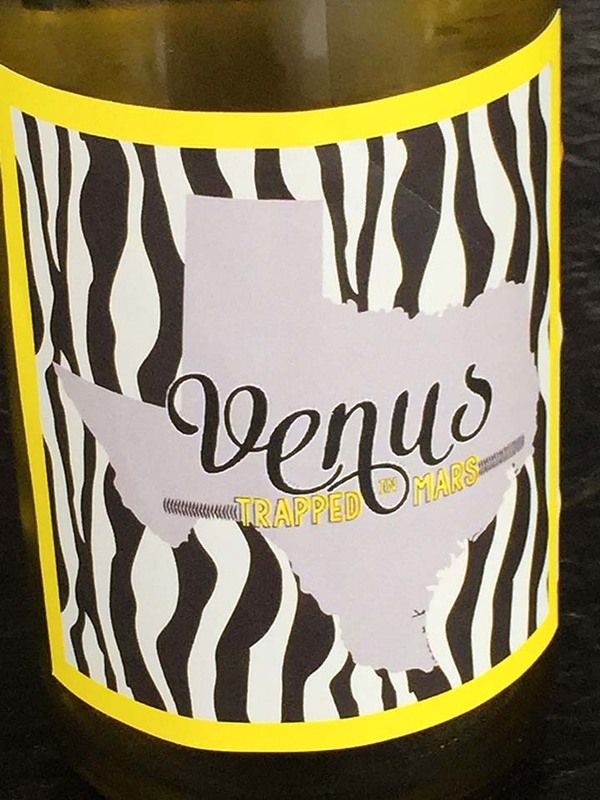 In honor of my move to the Big D I would love to give away a set of custom labels to one wonderful Venus Trapped in Mars reader. What would this include? Either 12 standard wine or champagne labels, or 24 beer labels, or 12 mini champagne labels. I will completely customize it for you. Hosting a tailgate? Having a birthday? Getting married? Need a holiday gift? I have a label for all occasions. Don’t win the giveaway? Purchase a listing from my Etsy Shop then message me with the code VENUS and I will give you an extra page of labels (4 wine labels, or 6 beer labels or 6 mini champagne labels). Cheers y’all! Enter to win a set of Custom Labels from Cheers with Love as well as ESPN ad space from VTIM! I sound like a broken record, but I cannot believe I have never been to Texas! I feel like it might be under rated where I'm at (Michigan). Honestly, I've never heard anyone really make a big deal out of wanting to visit... but now it's basically the only place I ever "hear" (blog land lol) about anymore. My husband and I are starting a whole life of travel soon, well, fingers crossed on the soon part, and I definitely think that I need to push Texas up the list. Thank you so much for sharing, both of you!! These beautiful and bright photos have definitely won me over!! I need a job so I can get my travel on. 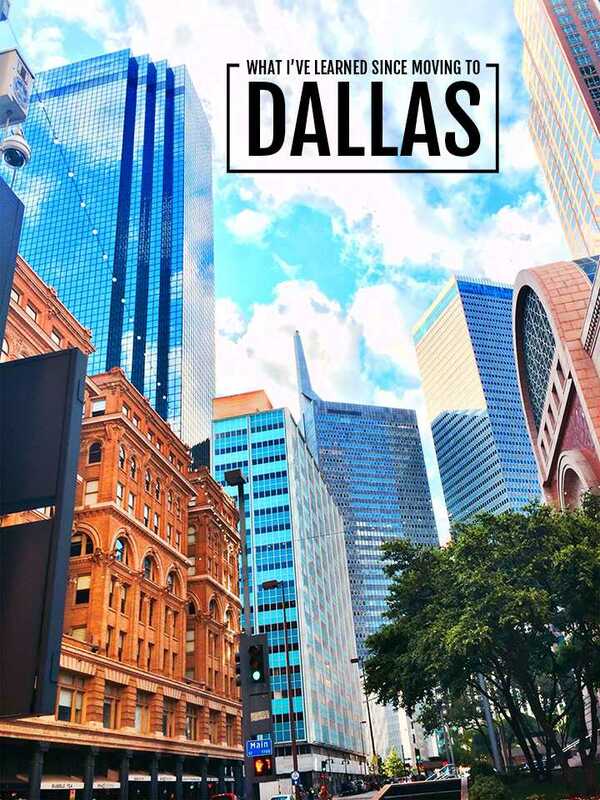 Dallas is on the top of my list, maybe when The Eagles are in town! I couldn't have summed up Dallas better myself! These are awesome!! how have i not heard of this shop? thank you for introducing us to her! I love Dallas. I grew up in Flower Mound and haven't been back in almost 8 years! This really makes me want to visit Dallas. I've heard so many wonderful things about your city!